Not much wind, not much to do. Had a full cockpit so didn’t raise the jib, likely should have. Love the views. Our SV is a 25 foot O’day from 1979. Loving it. Sorry it is on an iPhone so a pretty narrow shot. Took a walk up to the Pilot Bay Lighthouse. Easy trail, slightly uphill and well worn. 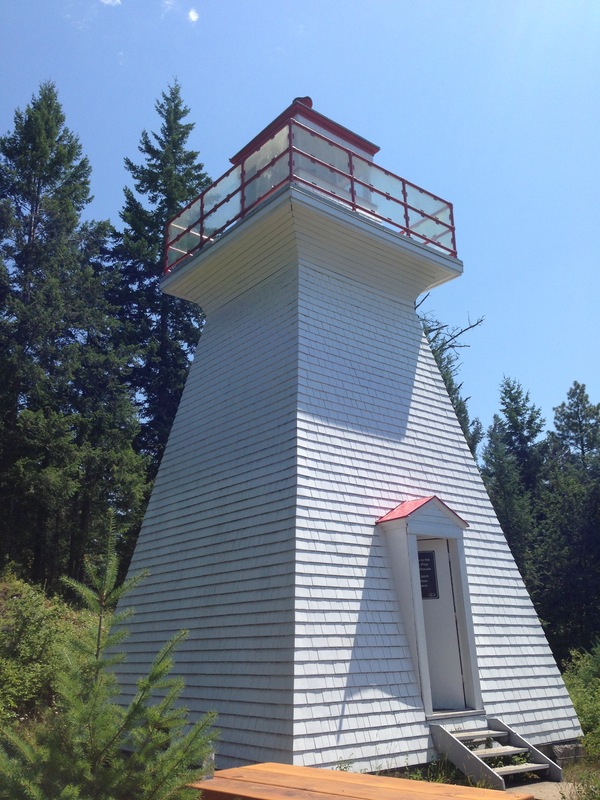 The lighthouse is wood and was used to note the entrance to the West Arm of Kootenay Lake. It has not been used for many years and is the subject of a historical preservation society. The light was visible for 30 miles in each direction on the lake. This is the view of the lake from the top of the lighthouse. Spectacular views everywhere in this part of the world. Discovered this park in the centre of Calgary and will share a few photos. A beautiful walk in an area surrounded by a million people. This week we have Orange. Interesting choice. 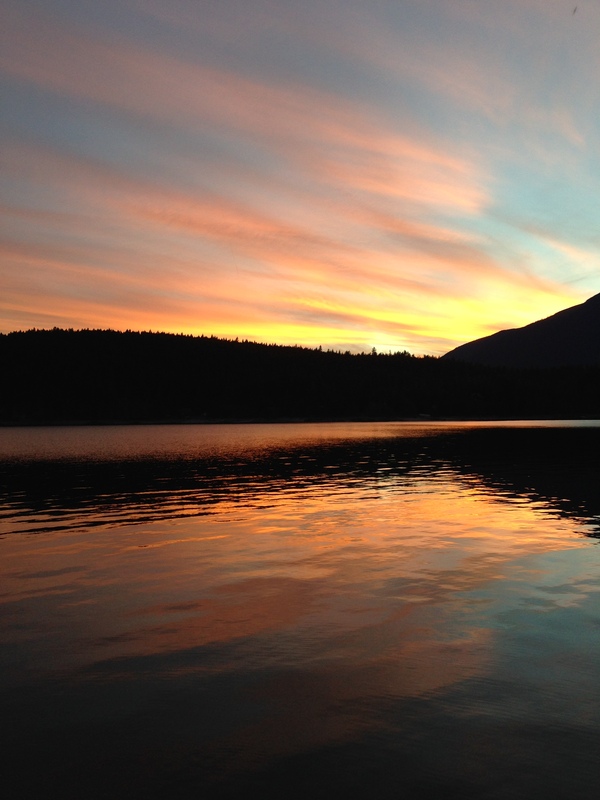 I took this sunset photo on Kootenay Lake in September of 2014. The pictures do not do it justice. Loving flying over the rocks. I took this in early July of 2013. Lots of snow. We arrived at the terminal, only to find that the ferry was full and we would have a two-hour wait until the next one departed. Tough place to spend a few hours with views like this. 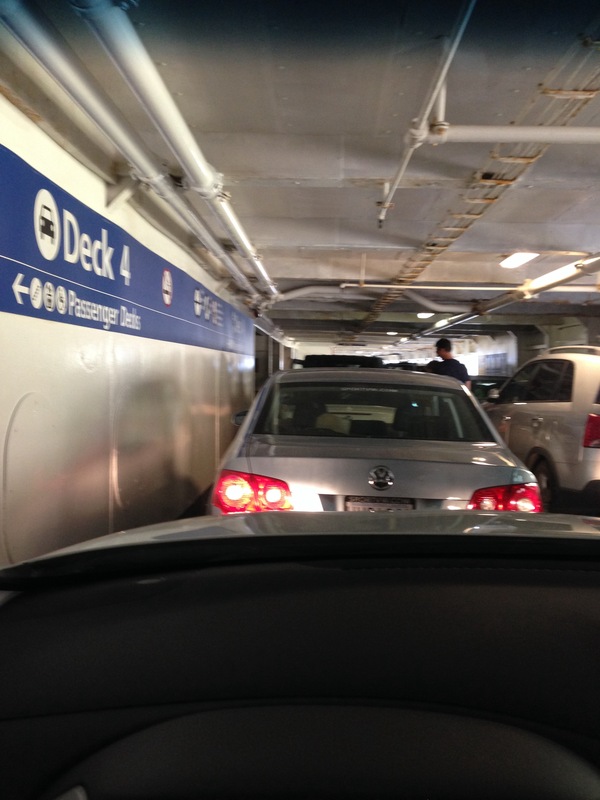 We have to take the ferry as we are heading to the Sunshine Coast. It is on the mainland, just like Vancouver, just inaccessible by road. 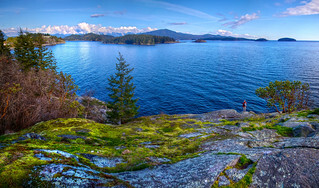 The sailing school is located over there, Gibsons, BC. Still, we have a few hours to kill. Off to lunch. The terminal area is a trendy place, with multiple shops, a marina and many restaurants. We chose Bay Moorings, a good choice. The food was good, reasonably priced and served by efficient and friendly staff. A great lunch, much enjoyed. Then we hit the ferry. They definitely cram them in on these boats. Next up, the expected shot from the ship out to the ocean. And then we were there. 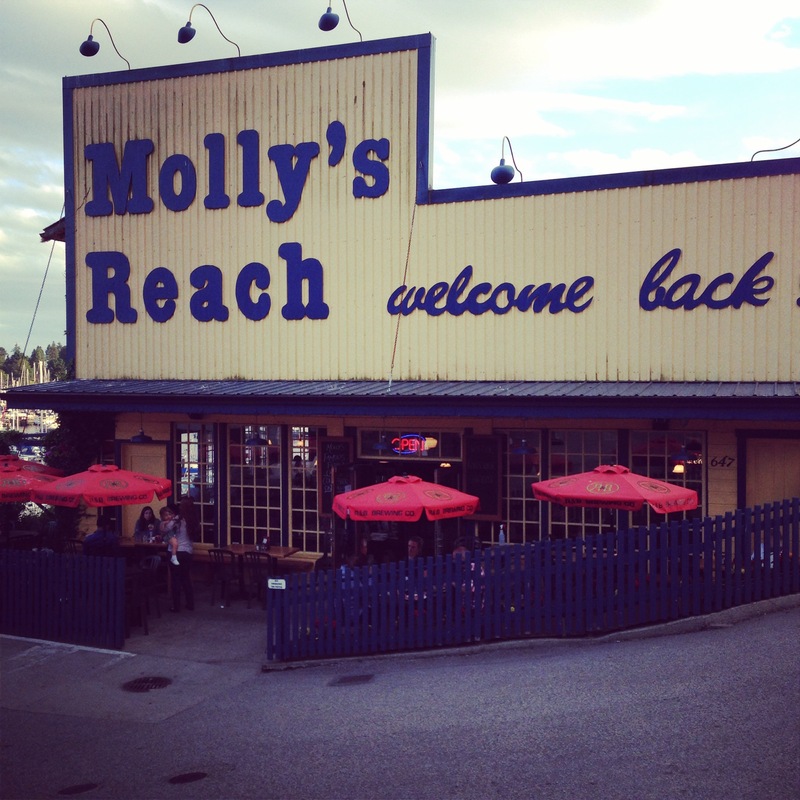 a quick drive into Gibsons, parked the vehicle and there, right in front of us, a piece of Canadian TV history, Molly’s Reach. 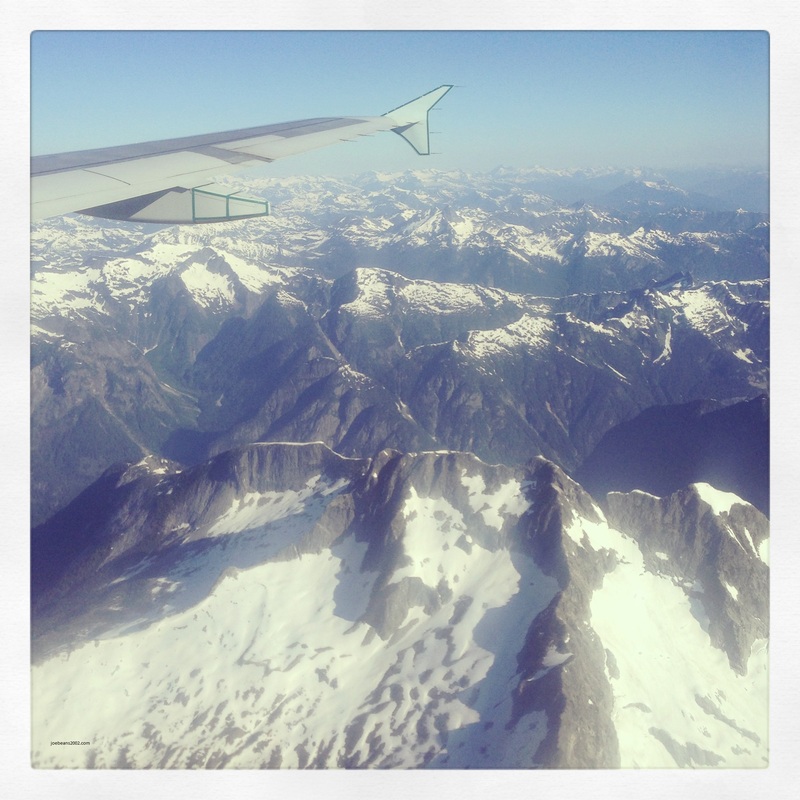 Next post, we introduce you to Gibsons, BC, where to go, where to stay, what to see. At least, where we ate, where we stayed and what we saw, then some sailing. 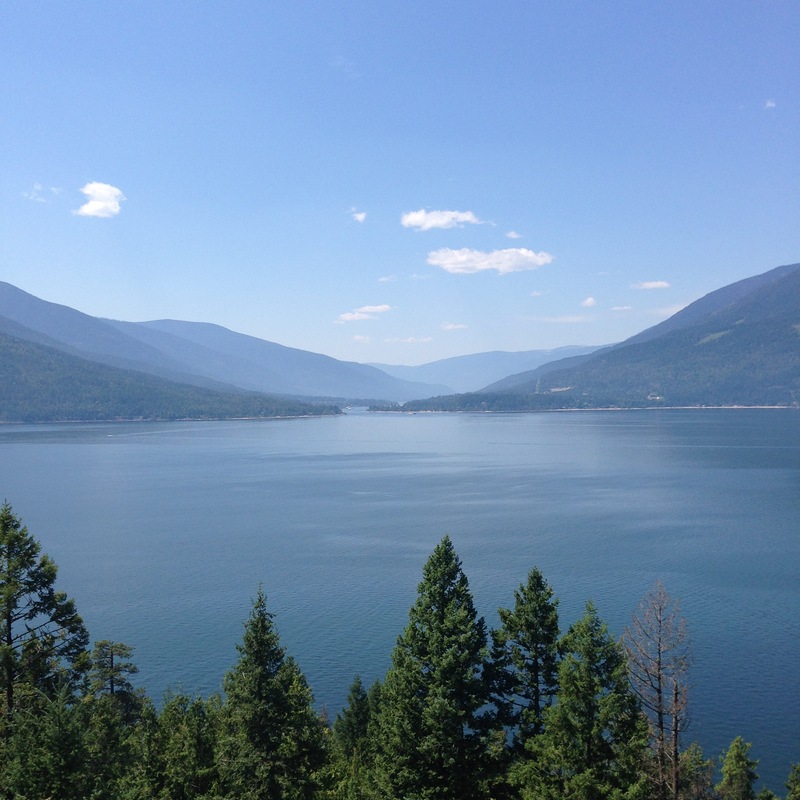 Back after our beautiful drive from Calgary to Gibsons, BC through the Rocky Mountains. What a beautiful drive. We live in an astounding place, this country of ours. One of our breweries, Molson’s (owned by Coors now, I think) has put together a great set of marketing tools, usually involving beer coolers and a uniquely Canadian only way to open it. The first series involved using a Canadian passport to open randomly placed machines around the world. Very cool idea. The video here represents their latest interesting take. Enjoy eh! We were in Winnipeg on the weekend of May 17 for a high school reunion, (which is another story) and spent some time with family. My brother and his wife live in Gimli, Manitoba, which is a town on the shores of Lake Winnipeg. The lake is the 10th largest in the world. It is now suffering many trials and tribulations, and is in effect, very sick. More on that later, but first a bit of a story. On our there for a visit, an hour so north of Winnipeg, we decided to stop in the town of Winnipeg Beach and take a look at the lake. 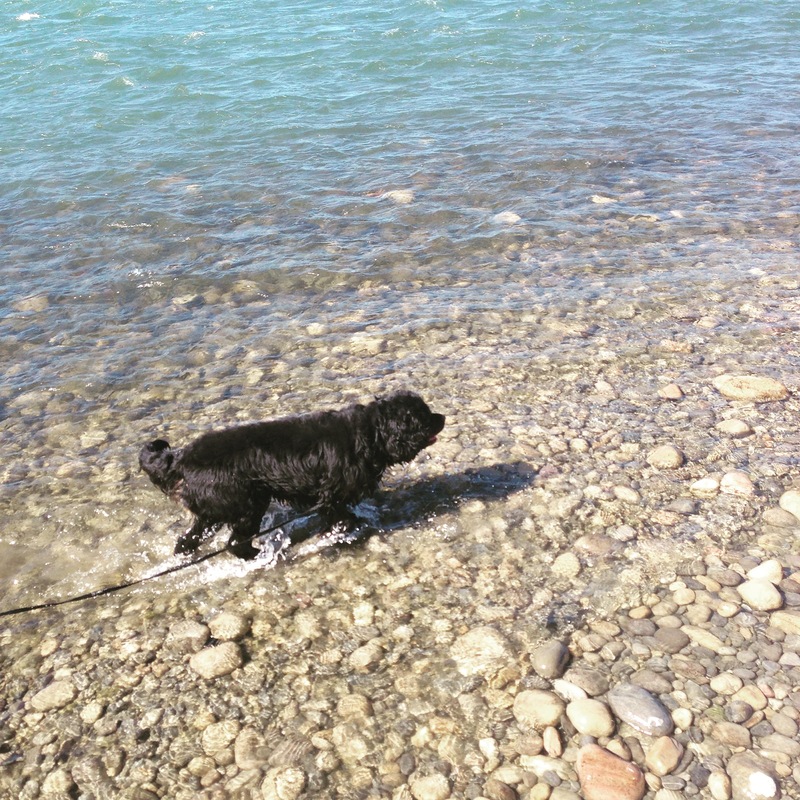 Surprisingly, the ice was still on the lake. We later told that it was highly unusual for this late in the year, and could be the latest breakup in memory. I took this with my iPhone in panorama. Looks very cold, and it was. The wind was coming in off the lake and was biting. The lake, as I mentioned earlier, is in big trouble. From zebra mussels to huge algae blooms (visible from space), there are a myriad of issues threatening the life of this great body of water. I have dropped a couple of links here, and, if you are interested, click them and find out more about the struggle to save this place. 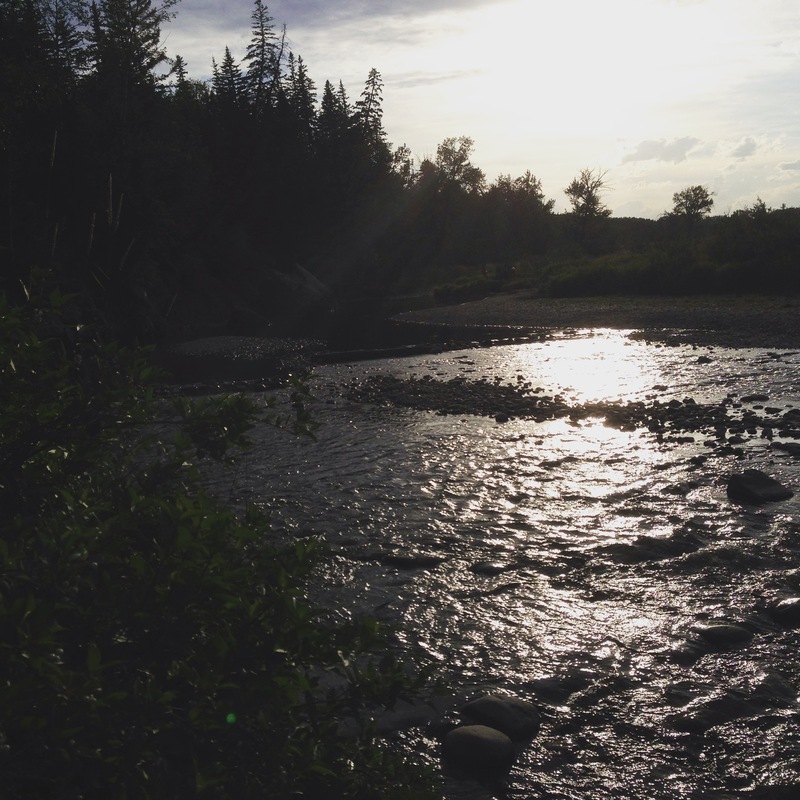 Lake Winnipeg, is there any hope? After a rather lengthy hiatus, it is time to get back on the beat. Took a few months off to concentrate on some other things. Had some fun, picked up on skiing again, made some decisions on the future and started to move forward on those plans. One of those plans included a new vehicle, one that can pull a boat or a trailer. Mission accomplished. No trailer or boat, yet, but a very nice, sparkling new Nissan Pathfinder. We intend to make use of it this summer while we work out the next part of our plans. Making use of it will create a new offering, Travelling Alberta (or Saskatchewan, BC or wherever we end up). 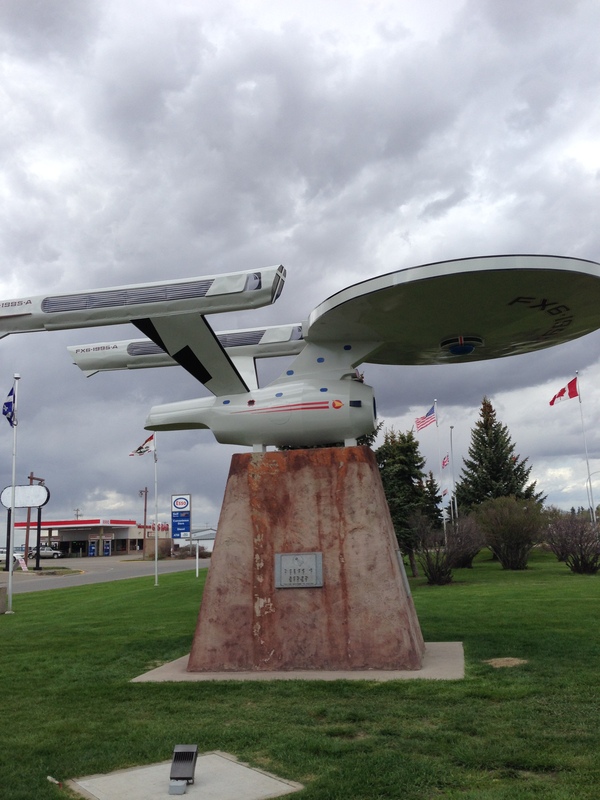 The first instalment, a trip to Vulcan, Alberta. Vulcan is a town of 2,000 people, 130 km south-east of Calgary on Hwy 23. Why Vulcan. Let’s think Star Trek. Yes, little Vulcan has one the best Star Trek museums around. Forgot to take a picture of the museum,, no snow the day we were there. 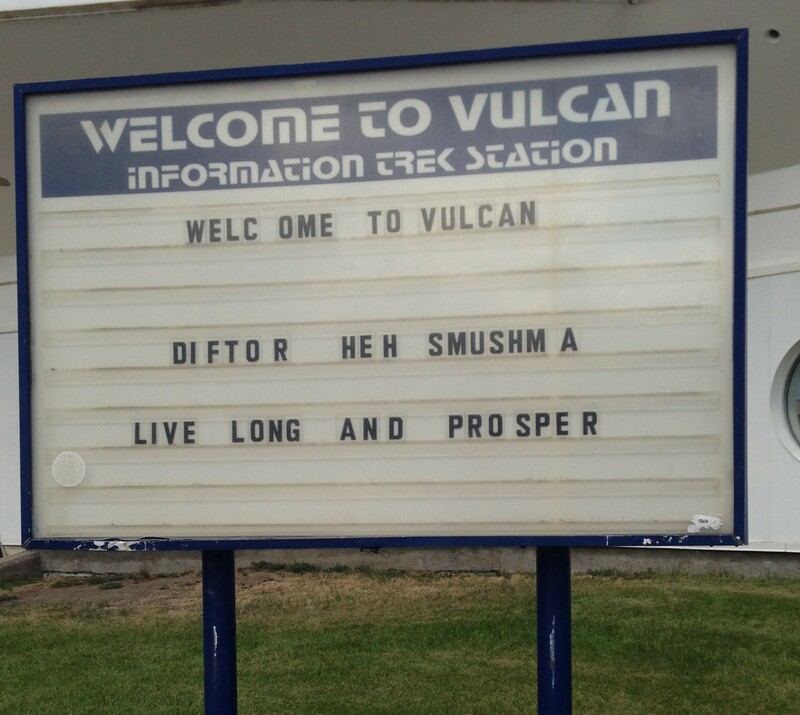 The name of this gem, the Vulcan Tourism and Trek Centre. Inside are many treasures, many donated by past cast members of the various franchises. The town holds an annual event “Spock Days” which highlights appearances by various cast members. This year’s event goes from June 13 to June 15, 2014 and features Nana Visitor (Major Kira Nerys on Deep Space Nine) and Rene Auberjonois (Odo on Deep Space Nine). Tickets for the event are available at this link. A nice road trip for a shakedown cruise. We did manage to remember to take a few pictures. They know how to be friendly. They have even built a replica of the Enterprise. And, after a quick coffee at the Town Cafe on Centre Street, we are off to Calgary.